My sister has had so many different jobs, it’s hard for me to keep track (of what she’s doing). Katherine, your skirt‘s trailing in the mud! Her scarf was trailing on the ground. My husband usually trails behind me when I’m shopping. 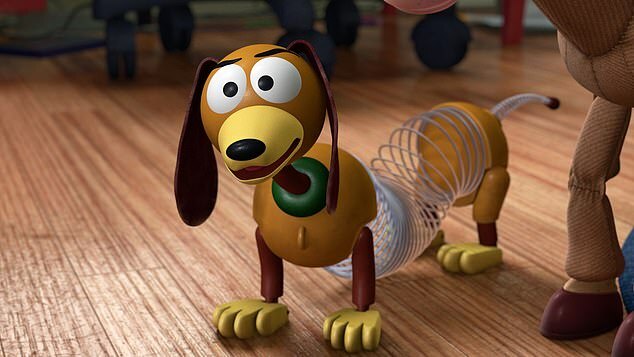 Adorable footage shows a pair of twins attached to each other with a slinky after dressing up as Slinky Dog from Toy Story. The cute pair, aged one and a half, wore the outfit to their school carnival in Minnesota, USA. One twin has dog ears on and the other is wearing a tail to mimic the toy Daschund from the popular Disney film. The twins can be seen happily trotting around their school in the impressive costume, which was lovingly made by their father and grandmother. Their feet squeak on the floor as the slinky trails along the corridor between them. Tara Jensen posted the heartwarming clip of her children to Twitter. ‘We wanted to do something fun with the two of them together,’ she said. She trotted along behind them, determined to keep up. She was trotting along on her pony. The dog trotted down the path to greet me. ‘We saw the idea online and decided to make something similar. 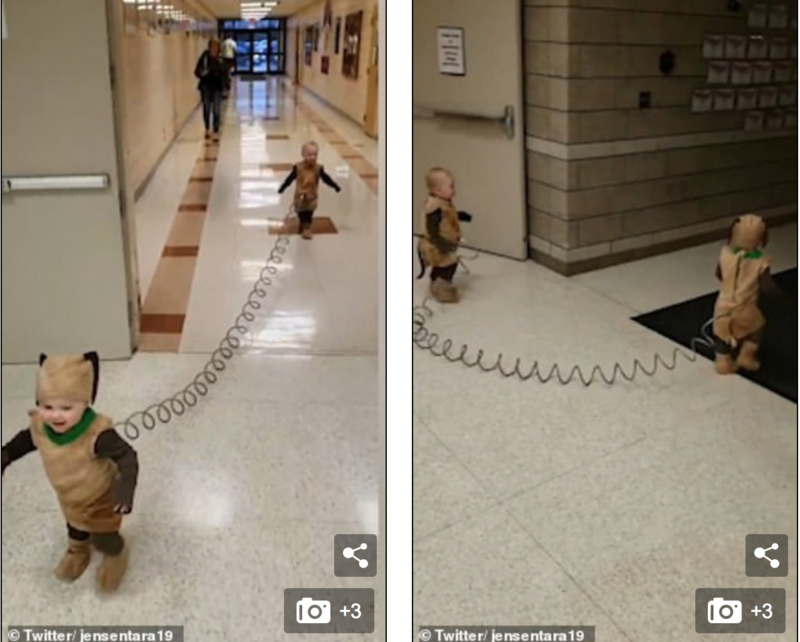 A similar clip featuring another pair of twins in the same costume was shared by Ellen Degeneres on Twitter and was viewed nearly half a million times.